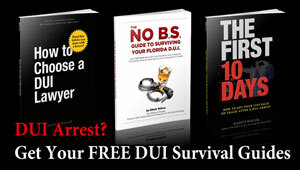 93% avoided a DUI conviction! 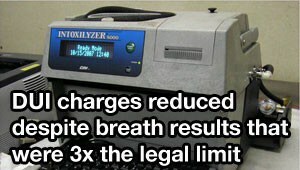 The client took a breath test, and the results showed that he was sober, with a breath level of .035. When the officer discovered that this wasn't an alcohol related DUI, he asked the client to submit to a urine test. The client tried to go to the bathroom (but couldn't) the officer told him that he was calling it a "Refusal" and would be suspending his license for 12 months. 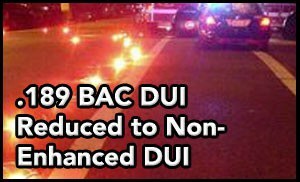 Client was arrested for DUI charge and the officer thought he observed indicators of impairment due to alcohol or marijuana. 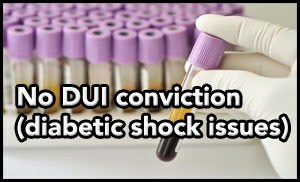 Unfortunately, the effects of hypoglycemia can often mirror the effects of alcohol intoxication, and this can result in a false arrest. 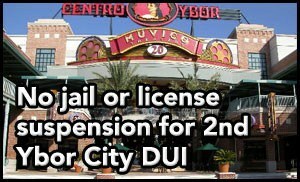 Client was arrested for an Ybor City DUI after he was seen driving the wrong way on a one way street. He was asked to perform the field sobriety exercises in a busy area in front of Centro Ybor, and this interference may have affected his performance on the FSE’s. When asked to take a breath test, he declined. 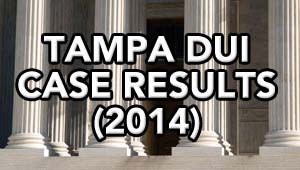 This caharge was serious because it was his second Tampa DUI arrest, and he was facing a mandatory 5 year license suspension and a 10 day mandatory jail sentence. 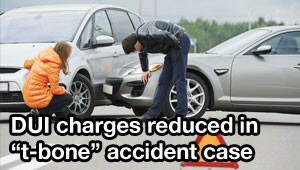 Client was arrested for a DUI charge involving an accident after he was involved in a two car accident. 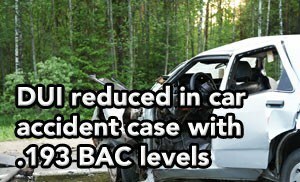 No one was injured, but when they asked him to submit to a breath test, his breath level was .193 BAC, which is more than twice the legal limit, so he was charged with an enhanced DUI. 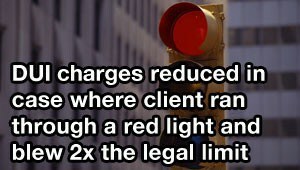 Client was arrested for a DUI charge after turning on a "no right turn" red light. 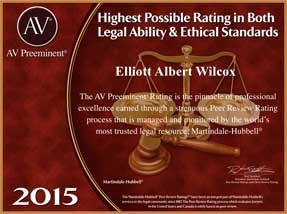 Client looked very good on video, and agreed to perform field sobriety exercises. 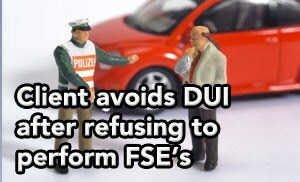 He did well on the FSE's, but the officer arrested him for DUI. 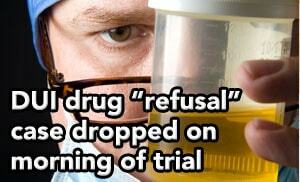 Client took a breath test (results showed he was sober) and agreed to take a urine test. The urine test results showed positive for a cocaine metabolite. Client was arrested for a DUI charge after she was seen driving too fast and allegedly tailgating behind a taxi. Client agreed to perform the Horizontal Gaze Nystagmus test (HGN) but wasn’t sure if she should do any other FSE’s, so she declined to perform them. Client was arrested for a DUI charge involving an accident after she crashed her car and was pinned behind the wheel. Fearing she was injured, the officers had her transported to the hospital, where she agreed to submit to a blood test. 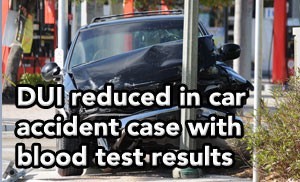 The results of the blood test were about TWICE the legal limit, so she was charged with an enhanced DUI. 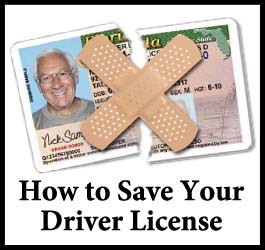 Client was arrested for a DUI charge involving an accident. He was asked to submit to a breath test (which was below .08), and then was asked to submit to a urine test. 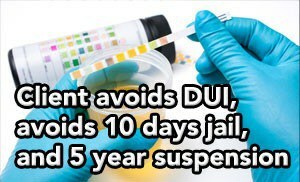 He declined to take the urine test, so they suspended his license for 12 months and charged him with a DUI. Client was arrested for a second DUI offense. Unfortunately, the DUI was in 2009, so he was barely within the 5 year window to enhance the offense. When you’re charged with a second DUI within 5 years of a previous DUI conviction, the mandatory penalties include a minimum 10 day jail sentence, and a 5 year license suspension. 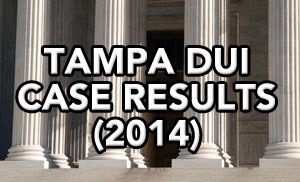 The Tampa DUI driver was arrested for DUI with a breath test that was THREE TIMES the legal limit. Here's how Tampa DUI lawyer Elliott Wilcox got the charges reduced and helped the driver avoid an ignition interlock requirement. Learn how we helped a client after she ran through a red light (caught on video by police officer) and performed "miserably" on the field sobriety exercises (often falling over), then took a breath test and blew more than double the legal limit.